We are one of the leading organization engaged in the production of various Vacuum Evaporators. This range of consignments is manufactured using only quality-approved and pure raw material which are sourced from trusted vendor companies of the industry. Widely used for experiments and tests, our evaporators are checked on the base of various recommended parameters. This help us to offer a defect-free range of products to the customers. 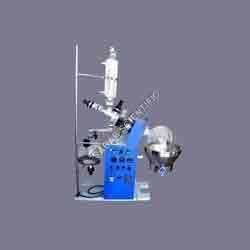 The Rotary Vacuum Evaporator available with us is manufactured from standard raw material procured from certified vendor base. We fabricate this range of evaporators in various capacities from 1 Ltr to 20 Ltr to optimize the contentment level of our highly esteemed customers. The entire process of production of the production is checked by our highly experienced quality controllers. Looking for “Rotary Vacuum Evaporators”?